The complete guide to using the most effective natural and alternative remedies (and essential tools) for the prevention and treatment of diseases and maladies during a disaster. Now in Paperback! Click Here to Purchase. IDENTIFY illnesses and their causes. Be able to identify specific illnesses to aid in knowing how to treat your loved one - valuable for situations where doctors are unavailable and internet is down. Numerous valuable protocols given for generalized illnesses, injuries and ailments along with step-by-step instructions on how to use them. PREVENT illnesses from taking a strong hold. Preventative protocols are explained using the most effective and well-researched remedies and/or supplements available. 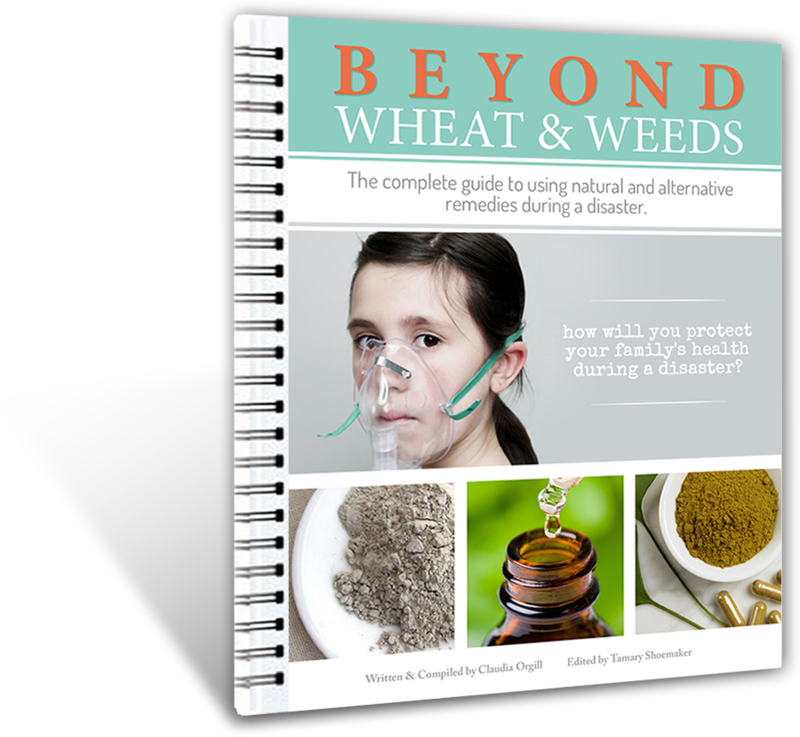 Beyond Wheat and Weeds is one of the first emergency preparedness books of its kind - it not only lists and gives explanations to many of the world's most effective alternative, natural and nutritional remedies, ranging from ancient herbs and clay's to the latest scientific breakthrough's, but it also covers how and when to use these remedies and includes descriptions, symptoms and treatment protocols for an array of illnesses that could take place during a disaster. Storing food or relying on our backyard weeds simply won't be enough once it comes to facing the infectious diseases that have and possibly will occur during a disaster. Beyond Wheat and Weeds makes it easy to know what to store and allows any person, whether they're familiar with alternative remedies or not, to know how to use the recommended tools and remedies for preventative measures and for the treatment of illnesses and injuries. Simply buy the book, store the remedies and you’re good to go! If you stop and think about all that can happen AFTER a disaster, this book can be life-saving! This book is incredibly valuable! I’ve been looking for a book like this! Fantastic. I have heard so many others talk about how this is THE best guidebook. I want it! I've never felt so led, guided and inspired by the Lord in a project I've undertaken. For over seven years Claudia spent much of her time in search of the most effective remedies that would help save her life from the grips of one of the most complicated and miserable diseases known today - Lyme disease (along with the host of other pathogenic infections that accompany this disease). Claudia considers herself to have been one of the most ideal "guinea pigs" there could be for testing out the efficacy of natural and alternative remedies and treatments. She has compiled the most important information she has come across, used, and researched in Beyond Wheat and Weeds knowing that this information would be of great value to others when stored in one's home-storage (along with the recommended tools and remedies) in regards to the prevention and treatment of the illnesses that run rampant during a disaster. Sign Up to Get Class Handouts and to Receive Any News / Updates! Download the preview sample (PDF, 4.2 MB) complete with cover artwork, table of contents, and several sample pages. • Treat a 1st, 2nd or 3rd degree burn? • Treat an ear infection? • Stop a diarrheal disease in its tracks? • Rehydrate a dehydrated person who isn’t drinking enough? • Heal tonsillitis or strep throat? • Use stored remedies to purify water? • Strengthen your family's immune system? • Avoid complications with fevers? • Pull radiation from the body? • Treat a violent cough? 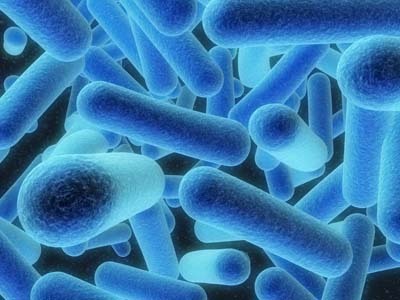 A variety of infectious diseases run rampant when a disaster occurs. Are we just going to watch our loved ones suffer and possibly die or will we prepare ourselves now so that we can do something to help our loved ones and possibly save their lives? Beyond Wheat and Weeds lists 41 of the world’s most effective remedies that help do exactly what needs to be done when an illness occurs. Know how to treat basically any illness using the information provided in Beyond Wheat and Weeds. Download a free sample from the book. Visit my blog at: http://healthypreparedness.blogspot.com. I've been searching for almost a year looking for a nebulizer that had the right qualities (and price) I wanted. I'm happy to say that we've finally found one! Here's a video where I show the nebulizer's I've tried out and why this particular nebulizer is the one we really like. Here's the video where I show why having a nebulizer during a disaster will be such a valuable tool to have. As far as home silver generators go, this is the best product on the market for this price! This machine has been tested at top universities to show that it makes a solution that is nearly identical microscopically to some of the top silver solutions on the market. On top of that, it is designed to function in a disaster just as well as in the comforts of home. Powered by USB and ready to connect to a variety of solar powered inputs, this is the silver generator you want to have close by in a disaster! This is the full color version of Beyond Wheat and Weeds - a 450 page guidebook that not only lists and gives explanations to many of the world's most effective alternative, natural, and nutritional remedies, ranging from ancient herbs and clay's to the latest scientific breakthrough's, but it also covers how and when to use these remedies and includes descriptions, symptoms and treatment protocols for an array of illnesses that do / could occur during a disaster. This is the black and white version of Beyond Wheat and Weeds - a 450 page guidebook that not only lists and gives explanations to many of the world's most effective alternative, natural, and nutritional remedies, ranging from ancient herbs and clay's to the latest scientific breakthrough's, but it also covers how and when to use these remedies and includes descriptions, symptoms and treatment protocols for an array of illnesses that do / could occur during a disaster. Here's the pdf containing the printable, colored images from the book for printing and pasting these images into your book. Ready to use hospital disinfectant. Visit this link for more information about HypoRedox. **Use this link only if you intend to pick up the product from location in Utah County - address will be shared after checking out. Pick up anytime. ** Broad Spectrum Bactericide. A 2 part herbal tincture in 4oz. and 8oz. bottles. Directions are printed on the label. Each set has enough for one person for 2-3 weeks. For more information, please click here to listen to this audio conference call. Ingredients include: Olive Leaf, Agrimony, Pau D'arco, Red Rooibos, Chamomile, Burdock Root, Milk Thistle, Yarrow and Cayenne. Stay warm during a disaster with disaster-proof "rice bags". The body heat bags are made with heat and flame resistant material and can be heated on a pan over a fire or on a grate over coals. The body heat bags stay warm for up to 8 hours. An audio CD of personal thoughts and impressions regarding our efforts to prepare ourselves and our family's for possible hard times that lie ahead. Please see what option you'll need to choose in order to upgrade your ionic silver maker at this link.